Friday March 8 KCWiT decided to do something a little special for International Women’s Day. 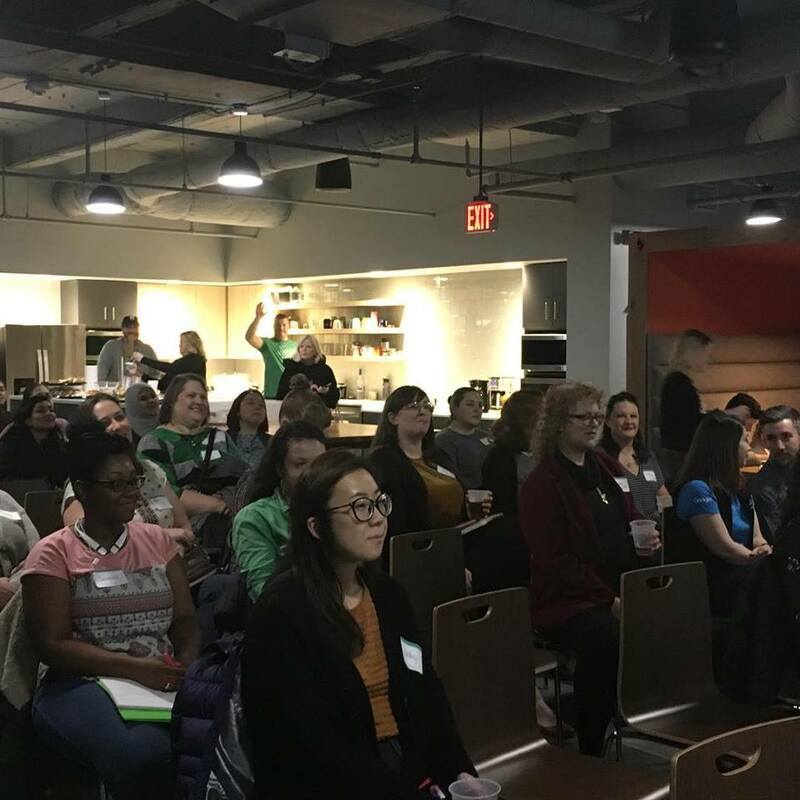 We got together with KC’s Women Techmakers and featured three inspiring women working in the tech industry. KCWiT’s Diversity and Inclusion Director Rhia Dixon, designer Pamela Porto, and developer Krista LaFentres shared their stories of getting into the industry and encouraged audience members to reach for their dreams. Follow our panelists’ tips below and you’ll be well on your way to working in technology! Panelists then took audience questions and shared their specific tips for thriving at work. Attendees who asked questions received a fancy notebook from KC Women Techmakers! If you have trouble bouncing back from rejection, just think back to where you were when you started. You’ve probably improved your skills! The panelists have had some challenges working in a field where men and even other women can be discouraging. One attendee asked specifically what to do if you are discouraged by women at work. Check out the video below to hear their answer. If you’re interested in learning more about the tech industry in Kansas City, sign up for our April TechTalk: What is a PM? Our panelists will discuss what they do, what the difference is between project management and product management, and more. This will also be a great networking opportunity so you can make connections and find your community, just like our panelists encouraged!